It might be your wound, but they’re my sutures." Defining Features: Gap between his two front teeth. Slender. Five foot tall. Personality: Hiro is a clever young lad and as such this has lead him to become rather cocky in nature. He is well aware that his intelligence is superior to others and although he doesn't feel the need to throw this about, the fact that he can be certain of it allows him to appear rather arrogant. Despite this, Hiro is rather shy when taken out of his comfort zone. This is likely to be because he can't use his intelligence to make sure the situation goes the way he desires it to. This shyness can be seen when he had to address a crowd although he quickly got things under control when he got into the swing of things - which of course related to robotics. In the past, Hiro enjoyed Bot Fighting, despite the fact that it was illegal. He had little care for the bots he destroyed and no worry for the harm that might come to him. This lack of caring is generally not a trait of Hiro's but it is a sign that he can take things too far. For instance, when he confronted the man who killed his brother, Hiro was quiet prepared and desperate to kill the man. His efforts lead to him getting his friends hurt along the way and leaving them on a deserted island. Of course, he has learned from this situation but the fact that emotionally he has been willing to go to such an extreme is telling. Of course, such extremes couldn't come from any death. Hiro was very close to his brother and it's mainly around Tadashi that Hiro was himself although this has extended towards his now team-mates. He can be very warm and friendly, taking account of what others want as well as working well in a team. He is caring of his friends and would hate to loose anyone else. Skills and Talents: Genius level intellect: At the age of 13, he had left High School. He has designed robots for fighting and has shown himself capable of making armour for his friends when they decide to bring Tadashi's killer to justice. His suit is equipped to protect him somewhat and to help him hold onto Baymax when he is in flight. History: Little is known about Hiro's early life other than his parents died when he was just three years old. After that, he and his big brother, Tadashi moved in with their Aunt, Cass. Their lives continued from there and Hiro has no memory of his parents. It was quiet soon that Hiro's intelligence made itself known and he quickly went through school, passing each year faster and faster. But despite this, Hiro didn't feel like furthering himself in education. he believed he knew everything that there was to learn and so dedicated himself to enjoyment. And his chosen pass-time? Bot Fighting. The sport itself is not illegal but betting on it is and there was no question that there was a gamble to it. But the gamble was never there when Hiro went up to fight. He knew his robot was the best and that he would get his own money back as well as the money of the others. Tadashi did not approve of Hiro's gaming and often tried to stop him and had to bail him out on occasion. The last time Hiro went to a Bot Fight, Tadashi had to rescue him from being beaten up and in the end both ended up in jail. So the next time Hiro wanted to go Bot fighting (which was later the very same evening) Tadashi offered to take him but stopped off at his university, claiming to have something to pick up. The idea was a success. Hiro was hooked on the idea of attending The San Fransokyo Institute of Technology after seeing the work that all the students were doing as well as the project that his brother had been working on, Baymax. Sold on the idea, Hiro quickly tried to think of an invention that would him into San Fransokyo Institute of Technology through their Annual Convention. After many failed attempts, his brother encourage him to see it from a new angle and Hiro came up with the idea of Microbots. These were small robots that were controlled by a neutral transmitter that one wore around the end. They could form anything that one thought of. Presenting this idea got him accepted into the University by Callaghan, the inventor of one of the techniques that Hiro used in making his Bot for fighting. Hiro was also made an offer to sell his Microbots by a man known as Alastair Krei but Hiro refused the offer. Going outside to celebrate his victory, neither Hiro or Tadashi were their when the fire started in the Institute. Upon hearing the alarms, they rushed to the scene. A fleeing woman explained and said that Callaghan was still inside the building. Tadashi rushed in, hoping to save his teacher. After a few seconds, Hiro went to go after his brother but an explosion sent him flying back. After that, Hiro shut himself away. He didn't speak. He didn't apply for the Institute, he kept the blinds down in his room and refused to eat. It wasn't until Baymax was accidentally activated when Hiro dropped his Bot on his toe that things started to look up for the young teenager. Upon hearing the pained response from Hiro, Baymax emerged and tried to help the young teen. Hiro refused to accept anything was wrong and eventually Baymax diagnosed him with puberty. Unfortunately it was then that Baymax noticed Tadashi's old hat, resting on his bed. This brought up the devastation that Hiro was going through and it was easily identified by Baymax with his scan. Following on from this, it was revealed that the microbot that Hiro had created seemed to be broken. Baymax pointed out that it wanted to go somewhere. Without thinking, Hiro said it would help him to come to terms with his loss if the location of the microbot's destination was found. So Baymax went off on a quest to find the this location. And Hiro realising that Baymax had taken his off handed comment too literally rushed after the robot. The microbot lead them to an abandoned factory where they found that the microbots that Hiro had created were being mass produced. And then they were attacked by a man in a mask who was controlling the tiny robots. It was a narrow escape and their first port of call was to inform the police of what had happened but that wasn't of much help. They stopped back at his home to make Baymax armour to fight their opponent as well as train him in Karate. At one point, Baymax also downloaded information on how to help people heal from a loss and this resulted in Baymax contacting Tadashi's colleagues - who were the closest thing Hiro had for friends. Then Hiro was back, looking for this man who had stolen his idea. This took him and Baymax to the docks where once more he was attacked. But this time his friends became caught in the villain's web. After a car chase, the lot of them ended up at Fred's house Mansion where they got the idea that they should become superheroes. Together they designed costumes based off of the projects that they had been working on and for Fred, the costume he had always wanted. Once this was done, they prepared to find their nemesis. This proved easier than first expected as Baymax had scanned the man and thus had enough information to identify him in another scan. They booted up Baymax's scanning ability and after testing out his flight ability, the location of their foe was found on an abandoned island. Flying there, they found out that the place had been run by Krei and that the life of a young woman had been lost during a teleportation test because the man cut corners. Then they were attacked. At firs they were failing as they fought the masked villain. They were foiled at every corner until eventually they pulled it together and managed to unmask their assailant who was none other than Callaghan. The man that Tadashi had gone to rescue. The reason Tadashi was dead. In a fit of rage, Hiro demanded Baymax kill Callaghan and as this went against Baymax's programming, Hiro removed the chip that Tadashi had installed. The rest of Hiro's friends tried to stop Baymax from killing Callaghan while Hiro desperately shouted at the robot to destroy the man. Eventually Honey Lemon got the Medical chip back into Baymax and the scene calmed down. But Callaghan had escaped. Hiro demanded a scan so they could find him again but during the fight, Baymax's super scanner had been broken. So the teenager left with his robot, leaving his friends apparently marooned on the island. Fixing the scanner, Hiro still wanted Callaghan dead but Baymax would not let Hiro removed his medical chip. Hiro only really calmed down when he found film footage from Tadashi's tests as he tried to get Baymax to work. And it turned out his friends weren't marooned ad Fred had simply called his butler to fly them back. With things sorted out, the team suited up to take down Callaghan who turned out to be doing this in revenge. For the woman who had been lost during the teleportation test was his daughter. And so he wanted Krei dead at any cost. The battle was hard and at first the team were loosing again as a portal threatened to destroy Krei and his new building. But encouraged by Hiro who was repeating the words of his brother before him, they pulled out of their rut and began to win. Having destroyed the microbots, they had in essence won. But then Baymax noted that there was a life form inside the portal. Hiro and Baymax went inside to save her. But the portal was unstable and they had limited time to escape. Then the unthinkable happened. Baymax's armour was destroyed and there was no way to escape. Bar one. The armoured fist Hiro had invented could be fired and this energy would push the shuttle that the woman was in clear. Hiro was on top. In such a short amount of time, Hiro had lost too much and he was devastated at the fact that he had to loose another. But it was the only way. The fist was fired and Hiro's last words to Baymax were 'I am satisfied with my care'. The words to turn Baymax off. Hiro dealt with this loss better than he had with the death of Tadashi. Although it wasn't until he discovered that Baymax had removed his medical chip and placed it in his armoured fist that things looked up for Hiro. He dedicated his time to re-creating Baymax and succeeded. And thus their super hero team was born. Roleplay Sample: Hiro couldn't believe it? Last year he would have been sneaking into bot fights and making a fair fortune from it. Now he was a superhero. And in Nerd School! Even after all he had been through, he still liked to call it this. It was an affectionate term. The whole thing had come at a price though. Hiro made sure he never forgot that. But this way he could do what Tadashi wanted. Together, he and Baymax could help a lot of people. Which was why they were in England. Apparently a lot was happening in England. The Superheroes of New York had moved their base over to their and there were other mysterious characters who helped out. The Doctor, the Winchester brothers, Sherlock Holmes. Hiro had done his research before catching his flight. Baymax had to go into storage. The journey was simply too far to fly, even with the batteries that Hiro had upgraded when he had rebuilt Baymax. Needless to say, He was excited. Although he would never leave his friends, it would be interesting to see what 'Earth's Mightiest Heroes' here like. Tony Stark and his Iron Man costume could be very interesting. And Hiro wanted to be able to be of assistance. After all, they were meant to be the best at protecting and saving the world. Which was sort of the duty that Hiro and Baymax had taken on. And even if he wasn't of any use, the experience was going to be good. Get to see how things were done outside him and his friends. And the flight was free, so he wasn't going to complain. He even got to have Gummy Bears in case he suffered from the change in pressure in the cabin. So far the day had started off brilliantly and he had high expectations for the next 12-24 hour period. Bring on England! 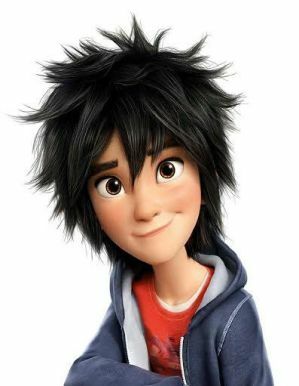 Welcome to SHIELD, Hiro Hamada. Your title is consultant engineer and this position will report to Deputy Director Maria Hill. be terminated at any time with or without cause and with or without notice.